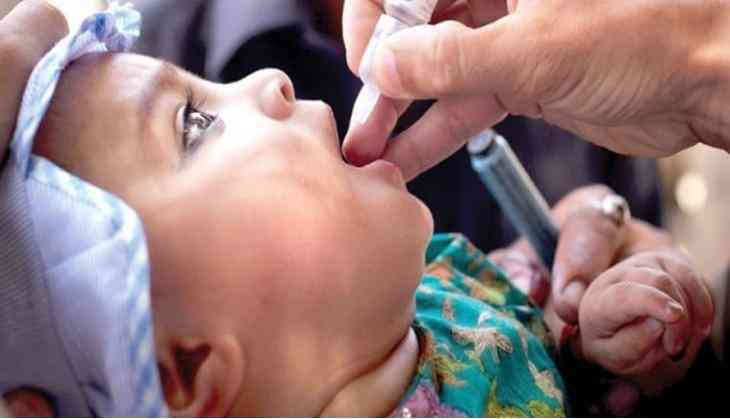 Aftertraces ofPolio Virus Type 2were found insomebatches of oral polio vaccine manufactured by a Ghaziabad-based pharmaceutical company, the Health Ministry has asked the polio surveillance team in UP to trace and track all children who were given the vaccine. As the vaccine was administered as part of the government's universal immunisation programme, the ministry has also ordered immediate withdrawal of the particular manufacturer's vaccine. Polio type 2 virus strain has been eradicated worldwide, including in India. The polio surveillance team has been asked to trace all children who were given this vaccine. They will also be tracked to see how the virus behaves in their body, a Health Ministry official said. The Health Ministry has ordered a probe after traces ofpolio type 2 viruswere found in some batches of oral polio vaccine (OPV) manufactured by the company and arrested the firm's managing director Saturday. The managing director of Biomed Pvt Ltd., which was supplying polio vaccines for only government-run immunisation programmes, was arrested after the Central Drug Regulator filed an FIR in this case. The Drugs Controller General of India has also asked the company to stop manufacture, sale or distribution till further orders. The company has five directors. While the managing director has been arrested, we have asked the police to trace the rest directors as they also need to be questioned, a government official said. According to the Health Ministry official, the contamination came to light after surveillance reports from Uttar Pradesh showed signs of the virus in stool samples of some children. Immediately, the OPVs were sent for testing which confirmed that some of them were contaminated with type-2 virus. The ministry has also alerted the Uttar Pradesh and Maharashtra governments assuming a possible usage of the vaccine there. The destruction of traces of Polio Virus Type 2 was ordered by thecentral drug regulator toall manufacturersin 2016.